When Apple unveiled the iPhone XS and XS Max last month, it showed off a whole slew of flashy new features that would come baked into the new devices. 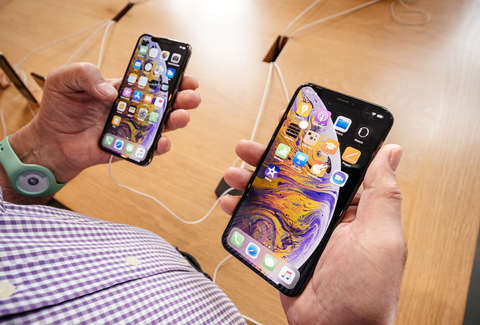 Naturally, the experts who offered their reviews, as well as Apple fanatics who lined up to be the first to get their hands them, expected to get what they were promised, especially after shelling out $1,000 or more apiece. However, a number of users are now reporting the new phones also come included with something pretty crappy: an annoying glitch that makes charging quite difficult. Details about the specific bug have cropped up recently on social media, where some XS and XS Max users have complained of a bug that prevents the devices from charging while plugged in while in "sleep" mode. Over 100 people have also taken to the official Apple support page to report their phones don't automatically start charging when plugged into the Lightning cable. Instead, some users have found that they need to "wake" the device by tapping it to initiate charging, or unplug the cable and plug it back it. It's hardly a debilitating issue, but it sounds incredibly obnoxious. While some have been quick to label this latest issue "chargegate," it's not clear just how widespread it is, or what the cause may be. Some speculate it's simply a software issue from an earlier security update, and a fix may soon come via a subsequent iOS rollout. Others have suggested that you can fix the problem manually by going to Settings > Face ID & Passcode and enabling USB Accessories. Still, Apple has yet to address or acknowledge the issue at all. Also, a couple conspiratorially minded folks on Twitter have posited that this may simply be the tech giant's gently (albeit annoyingly) nudging users to switch to wireless charging so they can ditch the Lightning port for good with their next device lineup. Whatever's going on, you have to believe the exceedingly image-conscious company is looking into it. Either way, we'll update this if Apple officially comes out with any further information.